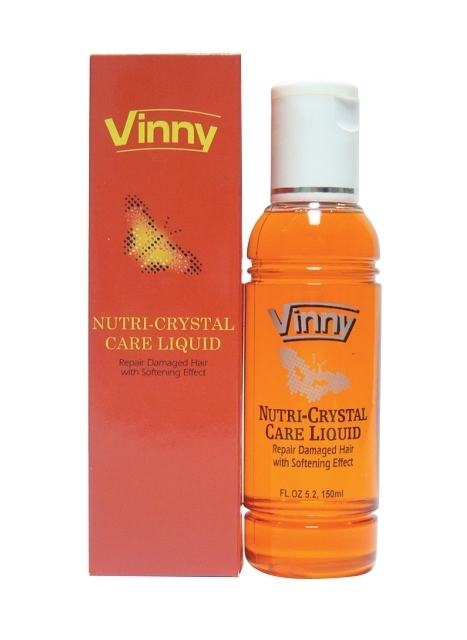 Vinny Nutri-Crystal Care Liquid is a non-alcohol base hair application act as a protective layer, prevent hair from further damaged from sunshine, swimming, perming and harsh climatic condition, maintain your hair to its natural looks. This highly concentrated serum ensures lasting protection and give the hair shaft increased resistance to damage. Be use sparingly on dry or moist hair before styling or after shampooing without rinsing out. Dispense a drop of the fluid between your finger tip then massage into the hair ends gently. Repeat the above action until it covers all hair ends before styling.